Singapore is well known as the mecca for private banking with over $2.6 trillion in assets under management or AUM and plenty of opportunities to reach out to the Asia Pacific region. Still, it is a highly competitive industry where the larger Singapore private banks can leverage on their client connections and scale of their support system. The Financial Times reported that the biggest winner was OCBC’s Bank of Singapore which grew its assets by 44%, followed by UOB Private Bank’s 23% growth and DBS Private Bank’s 8.3% growth. There were losers too. Deutsche Bank lost 13.4% of its AUM, HSBC lost 3.6% while ANZ, Barclays and Societe Generale threw in the towel. Marquee names such as UBS and Citi barely grew by 4.5% and 3.8% respectively. Private banks are faced with rising cost which tends to affect boutiques disproportionately. These rising costs and the shrinking pool of private banks put pressure on private bankers to perform to hit their AUM. They are often given 6 to 12 months to hit their AUM and revenue targets before they are sacked. As the chief sales officer of your private bank, the vital question is how can you help these private bankers to be more efficient in their sales process. After all, if your private bank must be sold off, everyone’s job is not secure. The reason why most salespeople don’t perform is that they are often side-tracked by urgent activities with slight importance attached to them. Imagine the routine of the new private banker who had just completed the relevant training and is assigned his own desk. What is the first set of activities that he does? Besides getting to know his fellow colleagues, he is likely to start replying emails and to find out about wealth products which he can pitch to his clients. According to a Cirrus Insight study, most salespeople only spend 39% of their time selling to their clients. In other words, your private banker should be cold calling prospects, attending networking events and parties and following up on the latest development of their clients to grow the business most of their time. While email is a good vehicle for private bankers to keep in touch with their clients, it can evolve into a major activity which may provide satisfaction but add little to the bottomline. McKinsey studied the diary entries of sales representatives and found out that the worst performers are often fragmented in their task. They spend time in the wrong places and ignore core tasks that will help them reach their strategic objectives. 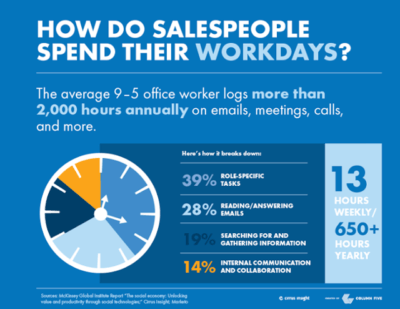 One simple step to cure this would be to ask your salespeople to track their activities. Even informal tracking will allow them to have insights about their working pattern. Your private banker might be the smart, attractive, endowed with people skill but they are also expensive, costing the bank between $120,000 to $750,000 per year excluding bonus. However, before a private banker can be effective beyond his own warm market, he or she needs to be supported by CRM, marketing and product platforms. Beyond these daily functions, it is also important to have periodic strategic reviews about the effectiveness of these strategies. One common way to have a strategic review is to gather the head of departments of these units and rope in some private bankers to form a committee to review it. While your organization might save some money, it creates initiative overload where your employees either do a rush job for the strategic review or they drop their current workload leading to reduced sales. It would be important to hire an external consultancy to conduct such reviews and free up time for your managers to develop and train the salespeople. This is a smart way to respect the time of your managers and productive sales persons. The effective manner to implement respect for the time of your managers would be to create a master calendar. Think of your employees’ time as you would of scare capital. 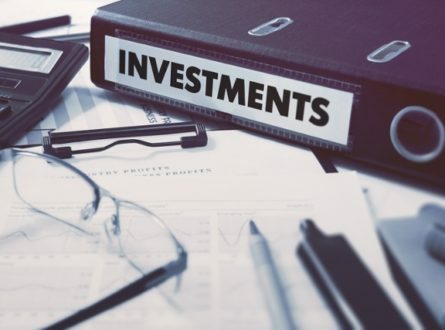 Only invest their time for projects with positive net present value. Having a master calendar would allow you to plan the activities in advance and allocate schedules to advance your key priorities. This will allow you to root out time wasting and unnecessary activities. This will cut your private bankers’ excessive involvement in meetings and allow you to arrange overseas clients’ meetings in this same period when your private banker is scheduled to travel. A master calendar will also allow managers to cut down on reporting meetings and spend more time on performance meeting where decisions are made to correct the course of action. An unprecedented amount of wealth is being created in Asia and this means unbounded opportunities for growing assets under management for the well prepared private bank. Even the largest private banks are faltering, this shows that size is not the key determining factor for success. A boutique private bank will just have to focus on the key sales activity and provide appropriate support for their private bankers. This will allow them to overcome the smaller size of their support system and product library to create compelling value for their high net worth individuals and build a successful assets under management empire. 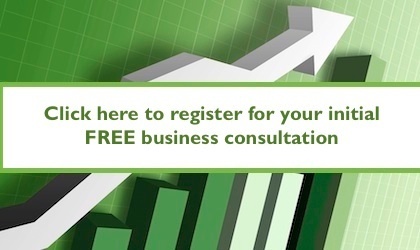 To help identify where you can further improve your AUM growth and sales efficiencies in Singapore, please register below to talk to our local Singaporean specialist.